Our college thrives on international partnerships to solve grand challenges. Faculty in our college host many international scholars who stay at NC State from two weeks to six months and longer. Our doors are open and we welcome all international scholars who are interested in partnering with our faculty to further their research or create new collaborative partnerships. Anne is a CGIAR Borlaug Fellow with Dr. Jean Ristaino as her NC State faculty mentor. Anne is conducting research on Phytophera infestans population structure and pathogen evolution in eastern Africa. Anne has has mapped the pathogen population in five eastern Africa countries as a basis for P. infestans surveillance in the region. 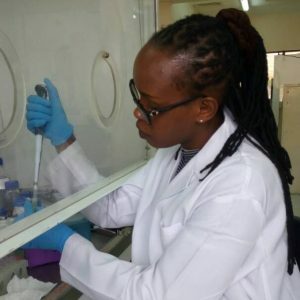 Additionally, she has generated pathogen data for the potato national breeding programs interested in a particular European potato variety as well as CIP’s potato biotechnology breeding group, that can be used for future deployment of the 3R transgenic potato for Africa. Anne is also a PhD student finalist at the Swedish University of Agricultural Sciences (SLU-Uppsala) and will be defending her dissertation in Plant Pathology in January 2019. 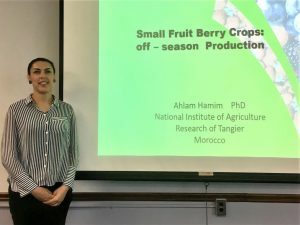 Dr. Hamim came to NC State University in the spring of 2018 to work with Dr. Hamid Ashrafi in his blueberry genetics and genomics lab. The overall objectives of Dr. Hamim’s fellowship work was to aid in the development small fruit berry crops in Loukkos, Morocco. While at NC State University, Dr. Hamim was able to investigate micropropagation techniques for blueberries and other small fruit berry crops, conduct field blueberry breeding research, assess small fruit berry varieties, and conduct quality tests. In addition to Dr. Hamim’s research experience, she was able to interact one-on-one with North Carolina blueberry growers during the blueberry field day. 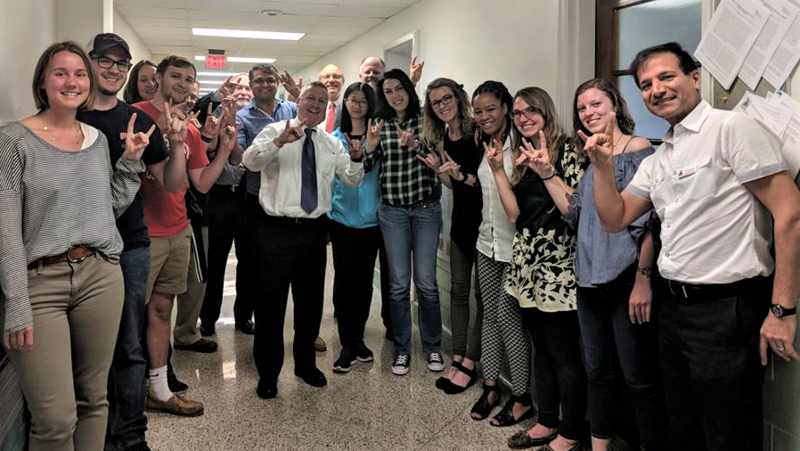 Hamilton will arrive at NC State University in Spring 2019 to work with Dr. Tom Sinclair in Crop and Soil Science. 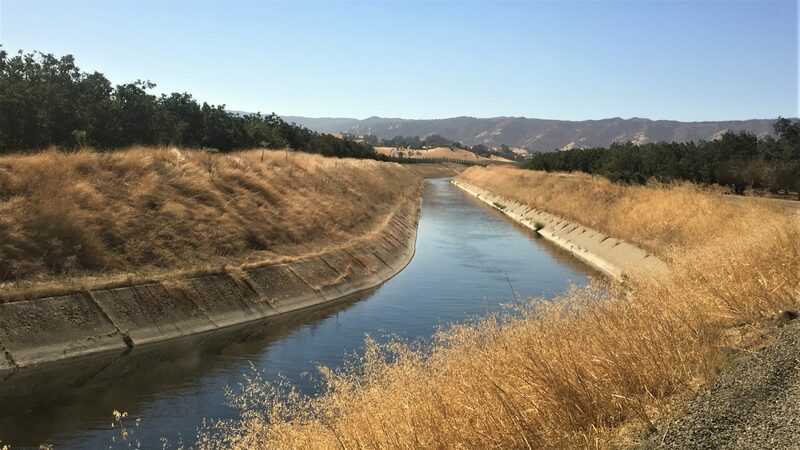 During his fellowship, Hamilton will investigate phenotyping of maize inbred lines for expression of two water-conservation traits: sensitivity to soil drying and to atmospheric vapor pressure deficits. Through greenhouse experiments, Hamilton will phenotype at least 12 to 20 of the major inbred lines used in Mozambique in response to soil drying and vapor pressure deficit treatments. Professor Jorge conducted research with Dr. Katie Jennings in the Horticulture Department. While at NC State University in spring of 2018, Jorge focused on small fruit weed science and worked closely on weed control in sweetpotato production beds. Sweetpoatoes are an important cash crop both in North Carolina and Peru so Jorge’s research had wide-spread impacts. Elizabeth will be at NC State University in Fall 2018 to conduct an internship in the Office of Technology Commercialization and New Ventures. Through this office, Elizabeth will learn about protecting and promoting University research discoveries and intellectual property by working with university faculty, industry partners and startups.